What is the best part of Thanksgiving? The food of course! Turkey, sweet potatoes, and green bean casseroles are what Thanksgiving dreams are made of. And, if you are having a traditional Thanksgiving feast, it is likely that you will have a ton of leftovers. So what do you do with all those leftovers? In year’s past I would shed a littler tear as I dumped my Thanksgiving leftovers in the trash. The classic leftover turkey sandwich is great, but there are so many more leftover recipes you could try. Check 20 Thanksgiving leftover recipes worth eating, and never let a Thanksgiving leftover meal go to waste again. 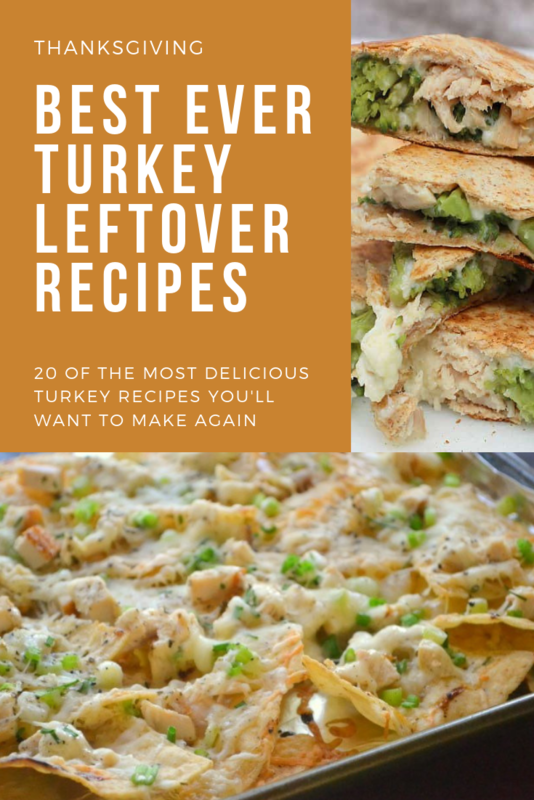 Turkey is usually the main dish and the food that has the most leftovers. No surprise there are a ton of recipes for turkey leftovers. 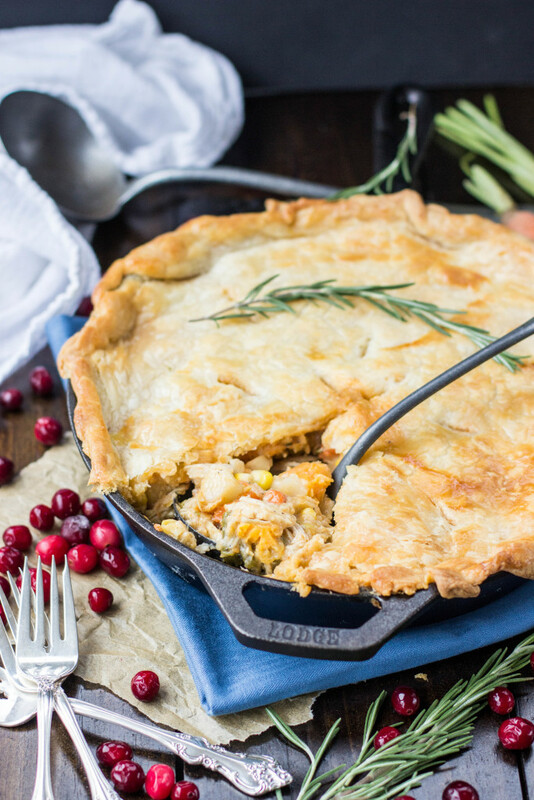 Turkey pot pie is my go to Thanksgiving leftover dish. This dish from Sugar Spun Run is sure to please the entire family. 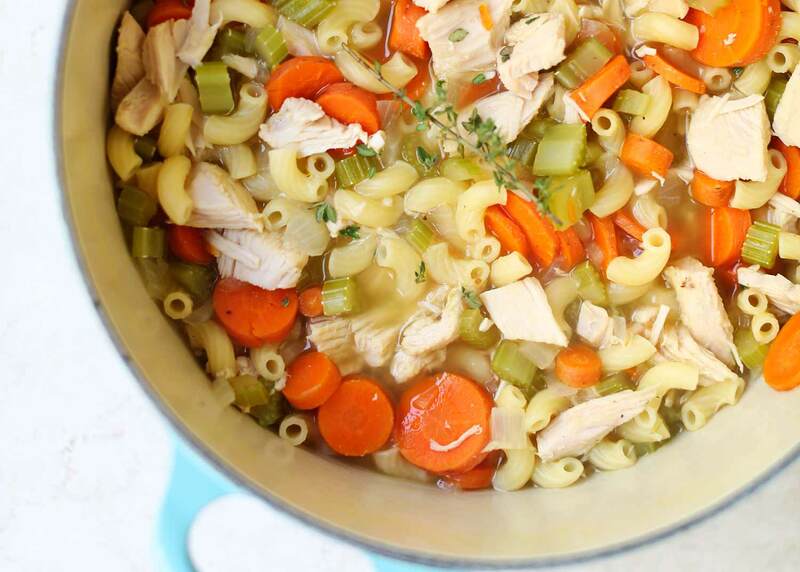 Turkey soup is so easy to make and this delicious leftover turkey soup from i heart naptime is no exception. While the turkey is the main dish the sides are the icing on the cake. Check out these leftover recipes for Thanksgiving side dishes. 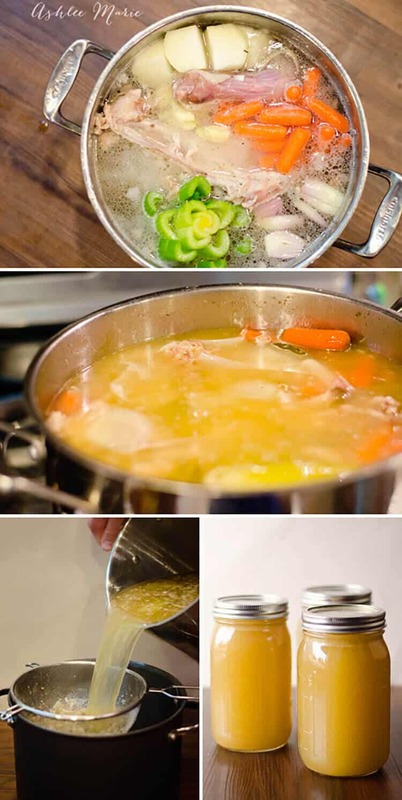 Bone broth is super good and super healthy for you. Thanksgiving is the perfect time to make and store delicious turkey bone broth. Check out this recipe from Ashlee Marie and learn how to make your own turkey stock. There is only one thing I love on Thanksgiving more than turkey, and that is potatoes! 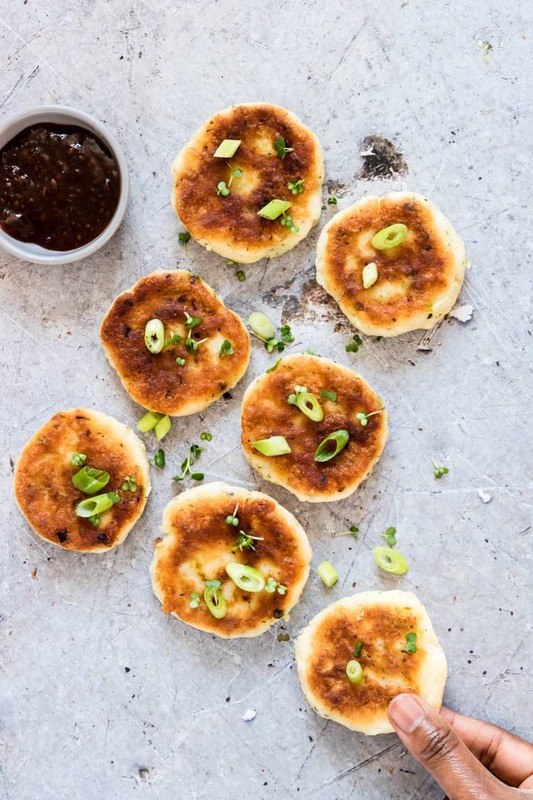 Check out these super yummy Potato Pancakes from Recipes from A Pantry. You will thank me! With careful planning you could make your Thanksgiving dinner last another with week. Just think, a week’s worth of yummy food with minimal effort. Sounds like a dream after what I am sure is a crazy Thanksgiving holiday. 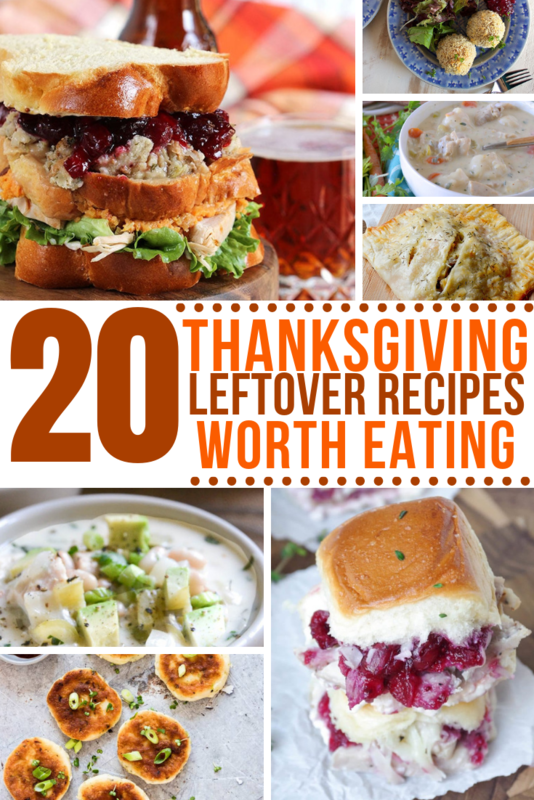 The post 20 Thanksgiving Leftover Recipes Worth Eating appeared first on Behind the Mom Bun.